Carvana, which sells used cars online and delivers them to customers' homes, has expanded its service to the Buffalo area. The e-commerce company today added Buffalo, Rochester, Syracuse, Binghamton and Albany to its territory. Carvana says customers can shop 15,000 used vehicles on its website and schedule delivery of their purchase as soon as the next day. The business offers a seven-day return policy on its vehicles. Customers can sell their vehicles to Carvana in a similar fashion, by receiving an offer online and then arranging a pickup as quickly as the following day. Carvana has gained attention for its "car vending machine" buildings, where customers can choose to take delivery. The company has only 15 of those around the country, and it has not announced plans to open one in the Buffalo area. Carvana expanded into New York City last fall. The company enters the Buffalo market just over a month after the nation's No. 1 seller of used cars, CarMax, opened a "superstore" in Amherst. The region is also home to a host of independent used-car dealers, as well as new-car dealers with plentiful used-vehicle sales. Amy O'Hara, a Carvana spokeswoman, said the used-car sales business is "highly fragmented. There are a lot of different players doing a lot of different things, and so we are just one offering. We hope that we offer an option that folks are excited about." The Tempe, Ariz.-based company, which is publicly traded, now operates in 91 markets in 30 states. 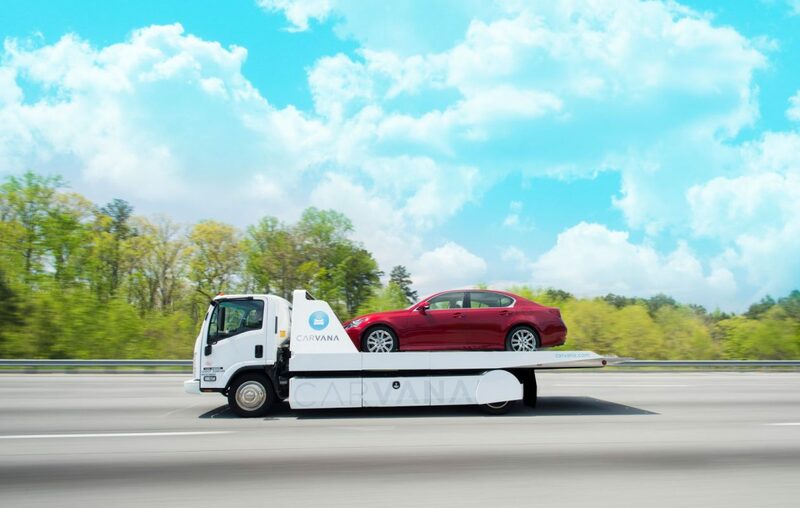 As of the third quarter in 2018, Carvana still had not turned a profit. The company is scheduled to report its fourth quarter earnings next month.